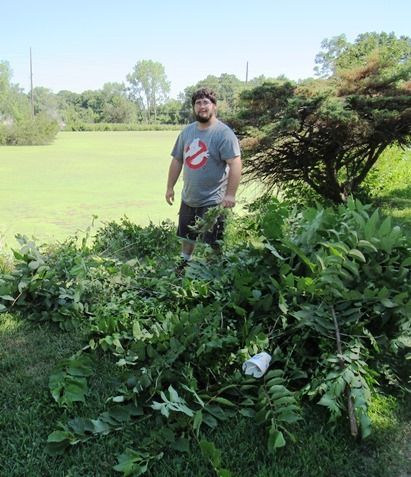 Volunteers clean up Welborn Lake – Welcome to Wyandotte Daily! 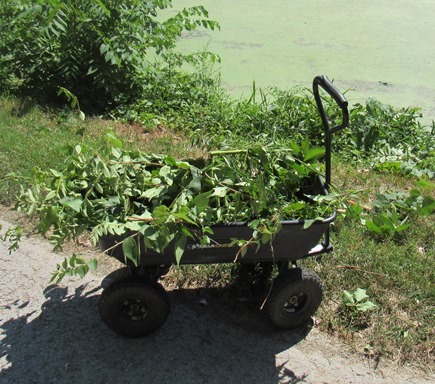 It was cleanup day Monday morning at Welborn Lake, with about 10 homeowners, volunteers and a youth group helping. 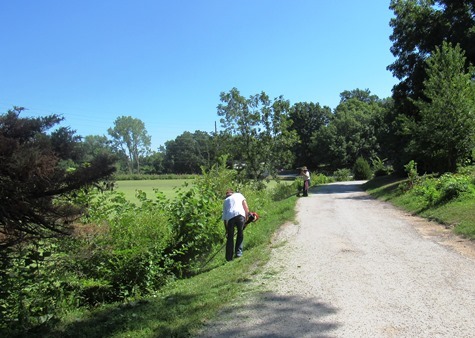 Volunteers trimmed trees, pulled weeds and removed brush around the lake, working during the morning hours. 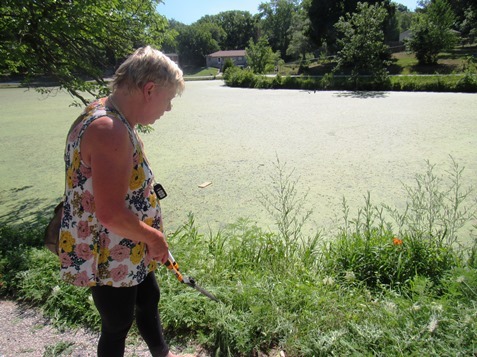 Helen Ann Caples, a resident of the area near 48th Terrace and Leavenworth Road, said residents had formed a new group, the Welborn Lake Group. The group has received a $3,000 grant from Livable Neighborhoods, she said, to help clean up the lake. Welborn Lake, a private lake, is owned by the neighbors around it. About 30 homes circle the area. The residents have been discussing cleaning up the lake during the past year. Residents hope to work on cleaning up the water in the lake next, according to Caples. The grant is not expected to cover the total amount needed for water cleanup, a fountain and aeration equipment, she said. Caples said the group plans to have quarterly meetings. Community meetings were held in November and February by the Unified Government about the future of Welborn Lake. 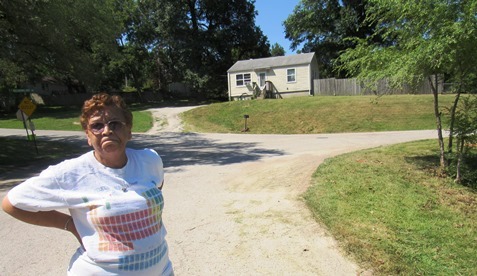 Marie Watson, a retired teacher who lives at Welborn Lake, said she didn’t want Welborn Lake to be turned into a park. She would prefer that it be cleaned up and continue to be a lake. She said she thinks climate change may have had an effect on Welborn Lake. She can recall years ago that the lake was frozen solid in the winter, allowing the children to run across it to catch their bus on the other side. But in recent years, it hasn’t been cold enough to support walking on the ice, she noted. When she taught school, she asked the students to test the water in the lake, and they discovered it was not dangerous, she said. 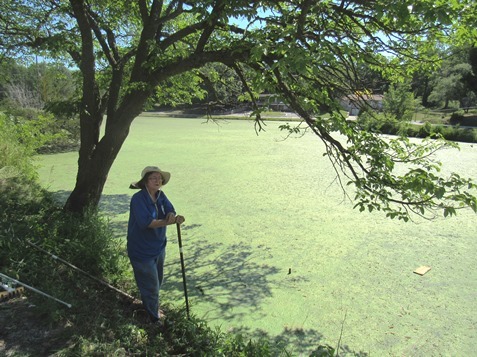 “It’s just duckweed,” she said about the flowering plants on the lake. The lake has a link to local history. In the early 1900s, it was a vacation stop on the interurban, a place where tourists went fishing and swimming. Also at the cleanup Monday was Mary Conrad, a retired librarian from Sumner Academy, who said she frequently drives around the lake. “Thirty-three species of birds have been seen here since the last week of February,” Conrad said. 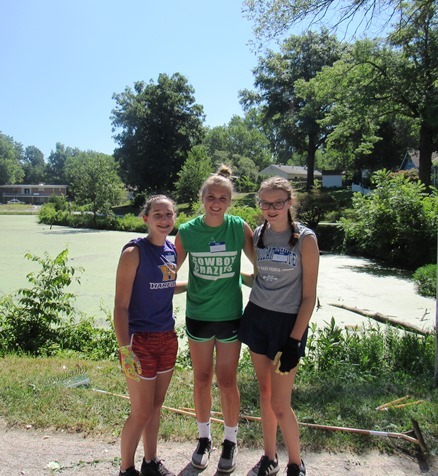 Cynthia Jacob is the adviser for the Catholic Heart Group, which was doing volunteer service work at the lake. She said youth volunteers are currently in the area, doing yardwork, painting, day care, cleanup and minor home maintenance tasks. They are also working at residents’ homes throughout the area. Lou Braswell, executive director of the Leavenworth Road Association, said the LRA sent some volunteers to the cleanup. She said there are currently hundreds of youth volunteers in the metro area who are helping residents with cleanup and maintenance tasks. They were also working with the Leavenworth Road Association to visit residents and paint or fix up homes, she said. The volunteers are from throughout the nation, Illinois, Virginia, Iowa, Washington, Arkansas, Colorado and other states, she added. “They didn’t know each other until they got here, and they all work together like they’ve known each other forever,” Braswell said.